Are you or a loved one going through a period of medical care requirements? Perhaps you're dealing with circumstances where more time in bed is called for. Maybe a caregiver is required to provide adequate treatment and care. 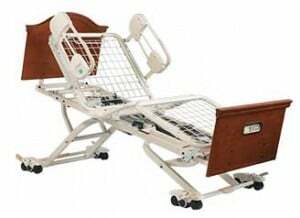 In such cases, potentially the most valuable piece of equipment involved is the bed. 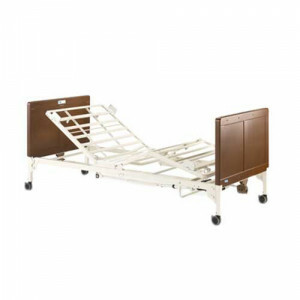 Often people think of deluxe hospital beds as belonging only in a hospital or institutional setting, however in certain situations it may be deemed necessary to have the same capabilities inside the home. 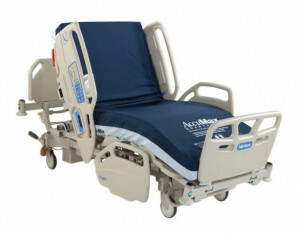 One of the main benefits of a deluxe hospital bed is articulation. 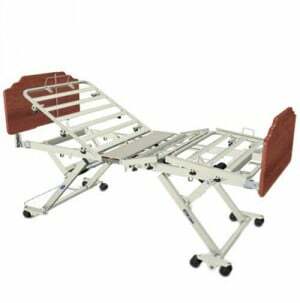 A patient might find it ideal to be able to easily sit up in bed, have their legs elevated, or both. Tilting is also possible such as Trendelenburg or reverse Trendelenburg positions. 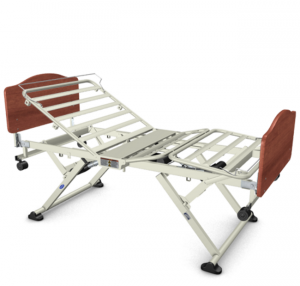 Height adjustment can be a great benefit as well; raise the bed up higher to allow the caregiver more access to the patient without bending or stooping, or lower it to reduce the risk of injury from falling out of bed. 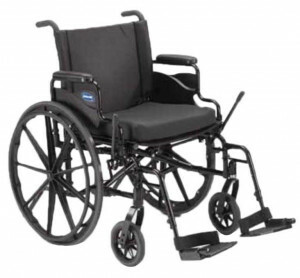 The quiet electric motors allow all of these adjustments at the push of a button without the need for tools or tough to use crank systems. 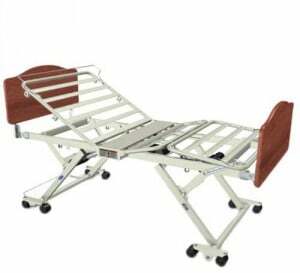 Bariatric Beds are available for patients with that requirement as well as Low Beds for patients with limited maneuverability or fall risks. 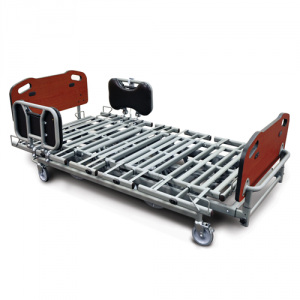 Besides the main features already discussed, you may also want to consider other aspects such as maneuverability, bed rails, patient lifts, infection control coatings, etc. Every situation is different, please take some time to compare these options and we're confident that whatever the needs we will have a perfect solution. Hey! This is Chris Brahm. I’m the director of Kodak, Friends of Disabled Adults and Children. And we want to demonstrate how to take apart a homecare bed. Many volunteers help us collect them in a community, get them back to our facility to reissue to people. And the reverse of what we’re doing is how you setup a bed in your home. 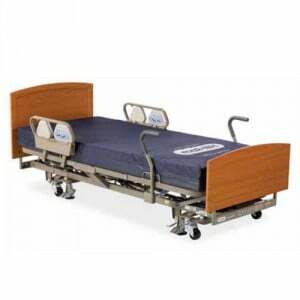 The homecare bed, it looks just like this. We have a mattress here that we’re going to go ahead and take off and have a helper with me. The side rails could be a numerous type of side rails but some are spring loaded. You just push on them and they come right off. These actually have some wingnuts that you have to release. I have a pair of plyers just to undo the wing that’s underneath to loosen them a little and then the whole rail system comes off. What you have left is the main bedframe and assembly with some motors that move the bed up and down, and the headboard and footboard which the main frame is just resting on these foot right here. We’re going to put our foot under this wheel. As we grab this outer part and turn it up on its side, let it down nice and easy. At this point, the dry shaft is a very important part to take out appropriately. This is just spring loaded. You just take it right out of the middle section. They’re always just spring loaded. Right here is a very important part. You want to go ahead and disassemble this coupler which is motor turns this gear in here to make the bed go up on this side and down. So, you want to make sure that’s disengage like that before you take off this footboard. Now, I’m ready to take off this footboard. It just slides right off. When we put it back on, it won’t jam anything as long as its coupler is disengaged. He’s going to take that one off. Slide it out of the way. Now, we’ve got this bed right here that we can walk this way with. We stand on the side without the motors and we can pick it up. And two people can carry it relatively easy. The bed does weigh a lot. The bed weighs about 120 pounds but you can see that we are moving it without too much travel because of the way it’s designed. It’s not that hard to find a good handle while you carry it. Once you setup that bed, it’s just the opposite of what we did it. You just put the headboard and footboard back on. Put a foot on the wheel and two people can tilt it back up straight. 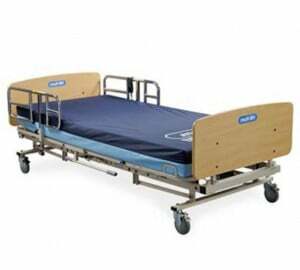 That’s our quick demonstration of homecare beds today. Thank you so much.